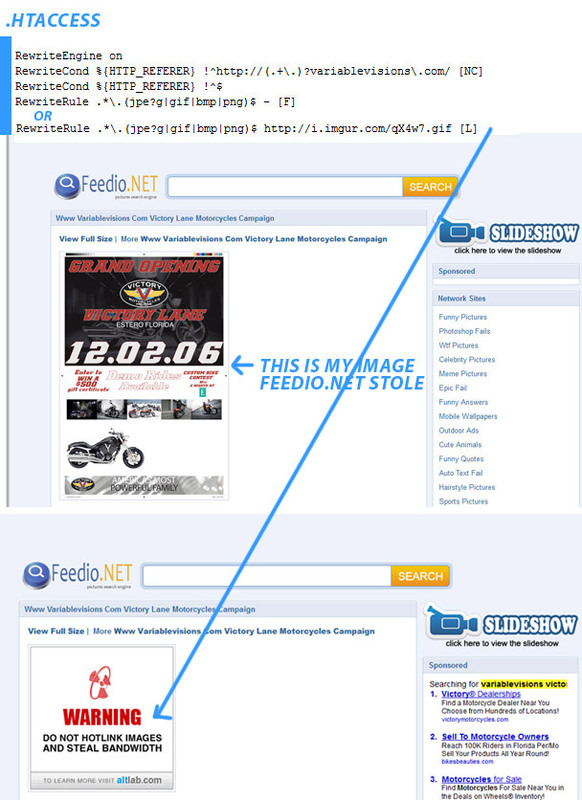 Today I noticed that after searching my domain name, a site has stolen some of my portfolio images. Hotlinkers! I gave them no permission and I’d hate to have a former publication or client complain. I asked them to remove my images they stole since they are violating creative commons by not giving me credit. Someone responded to my email and said they would remove, but I decided to write some code in my .htaccess file to block any site that tries to steal my images and bandwidth. 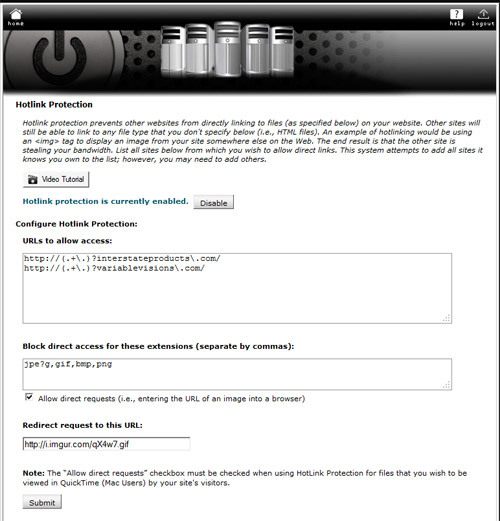 You add your site ad the referer and any other sites that are allowed to link to your images. If you don't want to write your own Rewrite Conditions in your .htaccess file, you can use cPanel's "HotLink Protections" to write the code to the .htaccess file for you.